This product is especially designed for everyday use and aim to lessen your effort and save time and effort.Durable and long lasting, the Butterfly Standard 5 ltrs Pressure Cooker is the right pick for any Indian kitchen. 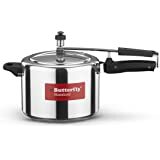 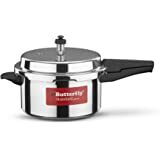 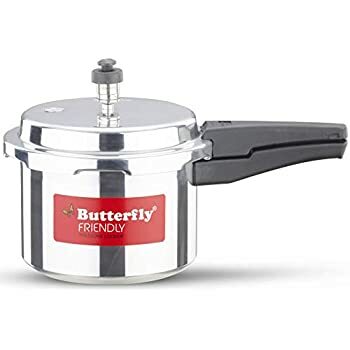 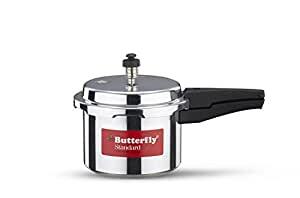 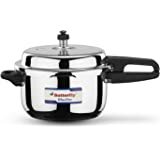 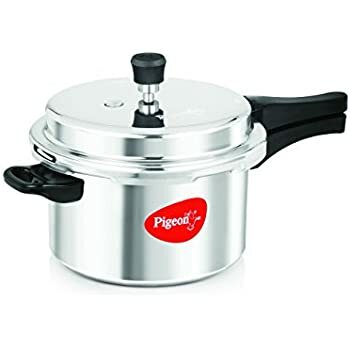 It has 5 litres capacity and is made of aluminium material with international styling.This Butterfly Pressure Cooker is sturdily built with thick walls and handles are designed with firmer grip. Make delicious meals with ease using the Butterfly Standard 5 ltrs Pressure Cooker. 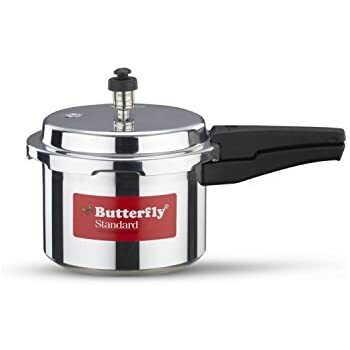 3.0 out of 5 starsThis item is good but not very good. 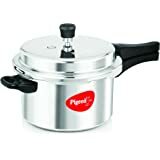 This item is good but not very good bcoz, I thinked it's fully steel body, not steel body, so i m little sad. 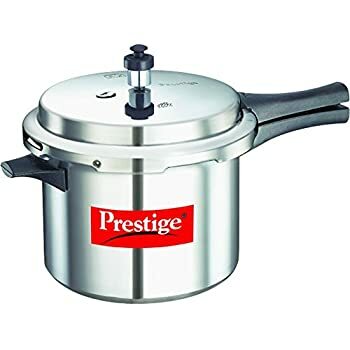 5.0 out of 5 starsBRANDED UTENSIL. 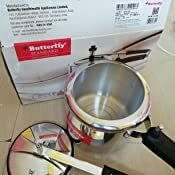 Dissatisfied..within a week of usage water started coming out of the small hole near whistle.